The remembering our choices was so very important for me during the 5 years I was caring for my folks in their home at the end of their lives. Allowing any “duty” or resentment or overwhelming tiredness slip in that kept my care from being or being experienced as a loving gift was not acceptable to me. Each morning I would lie in bed and find the place that I completely remembered that I was there because I choose to be and why I was making that choice. And yes, “grace” describes what I had in return for finding that place. 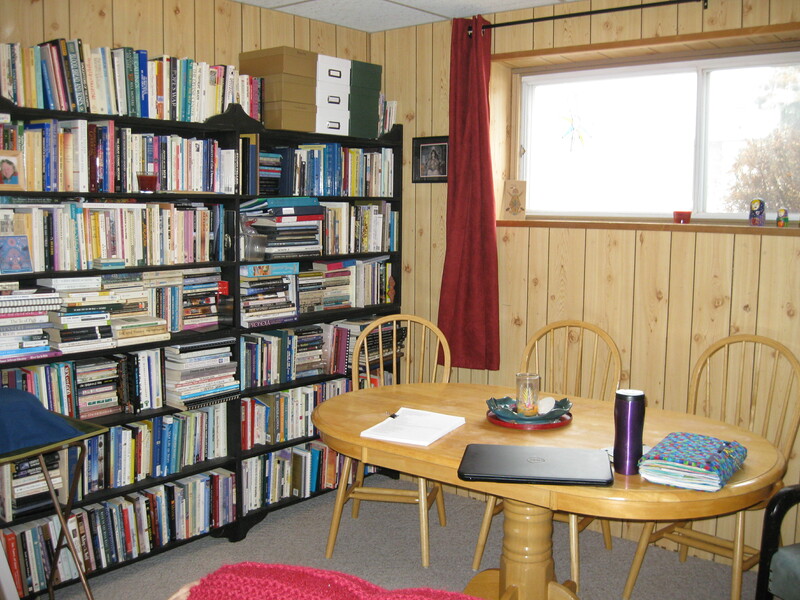 So, Cat, your group room looks great and I can so picture your gatherings there. I remember when your groups were on cushions on the floor. Yes, we are aging. I’m recovered now from a bout of shingles. I think I had an easier time of it than many of the horrible stories I’ve heard. The foods and herbs I’m engaged with for the cancer are also the right answer for shingles with a few stepped up anti-viral (more garlic and black pepper, radishes, apple cider vinegar both topically and internally, grapefruit seed extract) and lots of celery for the nerve damage. Mainly I keep being wondrously amazed by all that I can do (including staying alive), which really compensates a lot for what I don’t choose to do each day that I “used to” or that others looking at my life might think I “should”. I get it exactly. I love being 61 years old and only doing the things that feed my soul. I was always living life to the full but I’m getting tired and stiff now and am enjoying taking care of myself, mostly, and reflecting on the old me past and the new me now and the woman I hope to grow up to be. I’m doing all this without feeling guilty. I paid my dues. I need to rest, regroup and figure out what to do with the last 10 or 20 years of my life. For once I’m going to pace myself and really live a balanced life. Thanks, Cat! Awesome essay! Thanks for your comments, Deb. This living a balanced life isn’t as easy as we think it ought to be, somehow. But, you may well have 30 more years left (my in-laws are 92 years old, and are both relatively active and totally with it.) LIving life to the full just seems to take on new meanings. I’m behind in my commenting, but just wanted to say thanks for your comments, Carol. YES, please do write. And let me read it, too. I’m feeling strongly the urge to write more, but carving out the time truly is chanllenging. So I know it’s not easy. But still, . . . do it! LOVE IT!! At least wolves are lower to the ground than horses are —- I’d hate to have to get up on a horse!! Perhaps you can’t physically run with the wolves any more, but you can still ride them 🙂 Praying for easier days my friend.